Superb Kit contains All Requirements needed to create this dazzling Elizabethan Style Pincushion. Simple and clear instructions. 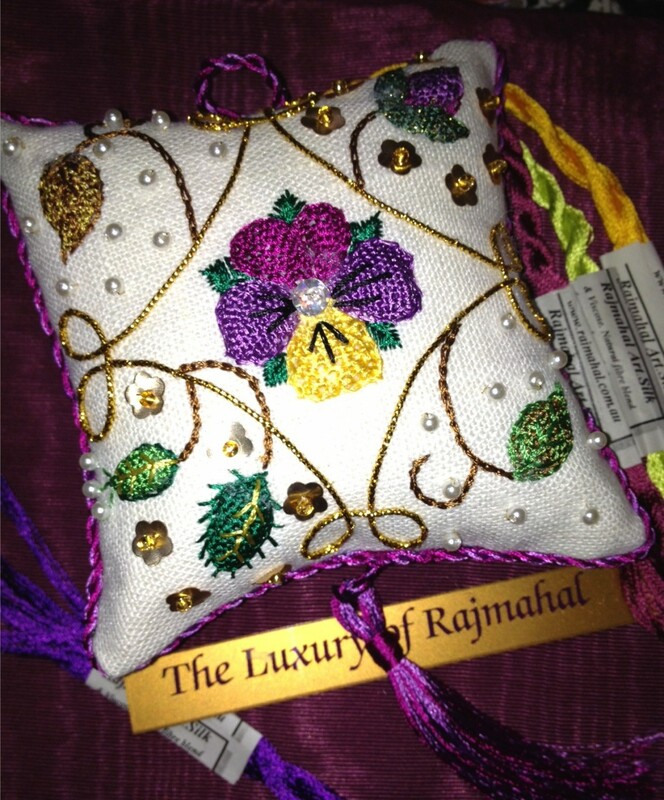 Quality Rajmahal threads and linen. Featured on the cover of "Comprehensive Guide to Creative Embroidery". Designed by Dorthy Clarke. I had never tried Elizabethan work but found it so exciting sand the results are very pretty indeed.I am going to try the pastel pincushion next! Click the button below to add the Elizabethan Rich Pincushion to your wish list.